The demand for Internet content rose dramatically in recent years. Servers became more and more powerful and the bandwidth of end user connections and backbones grew constantly during the last decade. Nevertheless users often experience poor performance when they access web sites or download files. Reasons for such problems are often performance problems, which occur directly on the servers (e.g. poor performance of server-side applications or during flash crowds) and problems concerning the network infrastructure (e.g. long geographical distances, network overloads, etc.). Web caching and prefetching have been recognized as the effective schemes to alleviate the service bottleneck and to minimize the user access latency and reduce the network traffic. 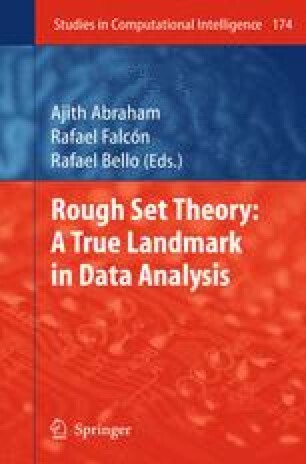 In this chapter, we model the uncertainty in Web caching using the granularity of rough set (RS) and inductive learning. The proposed framework is illustrated using the trace-based experiments from Boston University Web trace data set.